The C208 chassis CLK Mercedes introduced in 1997 was a continuation of building up-market coupes from the C-class (W202) chassis. The CLK55 AMG version was introduced in 2002 and featured a 342 horsepower 5.4 liter V8 and a host of other upgraded goodies for a price tag of almost $70k. Depreciation has not been kind. Bonus for us! 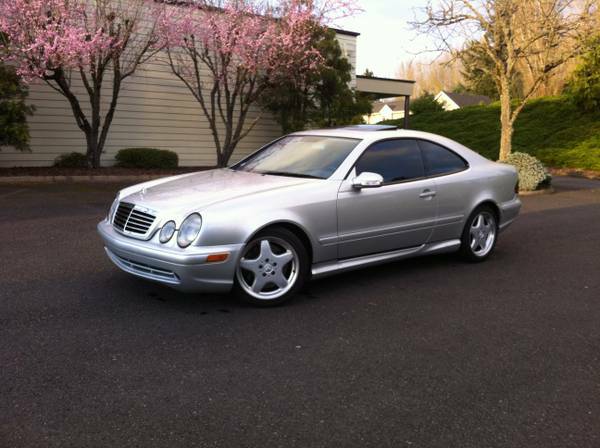 Find this 2002 Mercedes-Benz CLK55 AMG for sale in Portland, OR for $11,500 via craigslist. Tip from Ryan T.
The CLK55 AMG shares its fire breathing V8 with the E55 AMG sedan, but features cool coupe styling, long doors and cramped back seats. 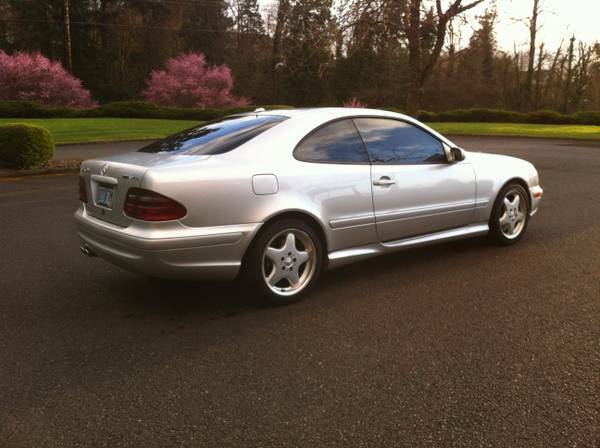 This example has an extraordinarily low number of miles on it (30k) and looks to be a good deal. Always loved these. And this is cheap enough to make me regret it. Called about this car a while ago. Too good to be true, it's a salvage.